Choose either of your favorite flavor 25 Unit box and we will throw in 5 extra packs AND we will pay for the shipping. 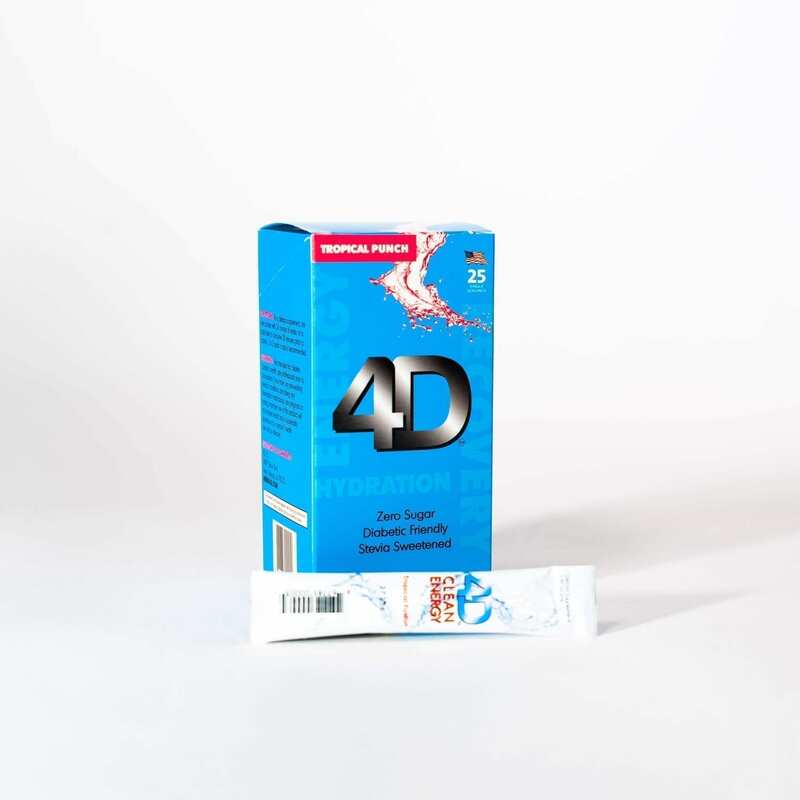 This option is for our true daily fans who can’t live without their 4D! No worries, secure subscription options and YOU ARE THE BOSS. Cancel anytime on your own, through your payment portal choice; Paypal or Amazon. 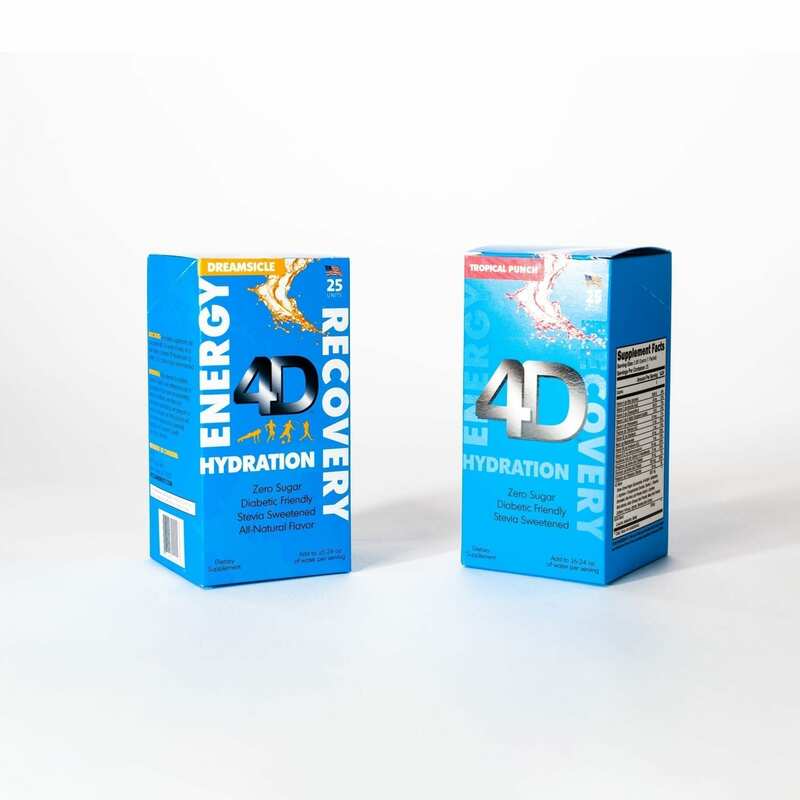 Best tasting all-in-one energy, hydration and body recovery from exercise and daily life. Portable, travel friendly packs you add to water. Zero sugar, no calories, diabetic friendly. I love this product and the auto ship is perfect for me because I love finding the best deals and there isn’t a Sam’s anywhere near me! I used to spend close to 100$ per month with multiple vitamins and supplements and now I am paying half that! Great all around product! Tried this product at a running expo. I’ve been using it for 3 weeks prior to weight training and running (long runs too) and it works great! 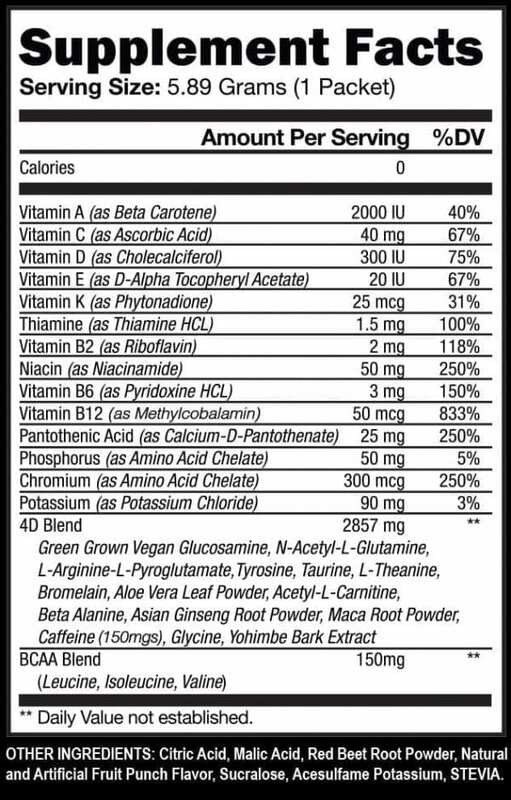 The ingredients are as clean as you can get and there are no spikes or crashes. It actually makes me feel great all day! Highly recommend giving it a try. 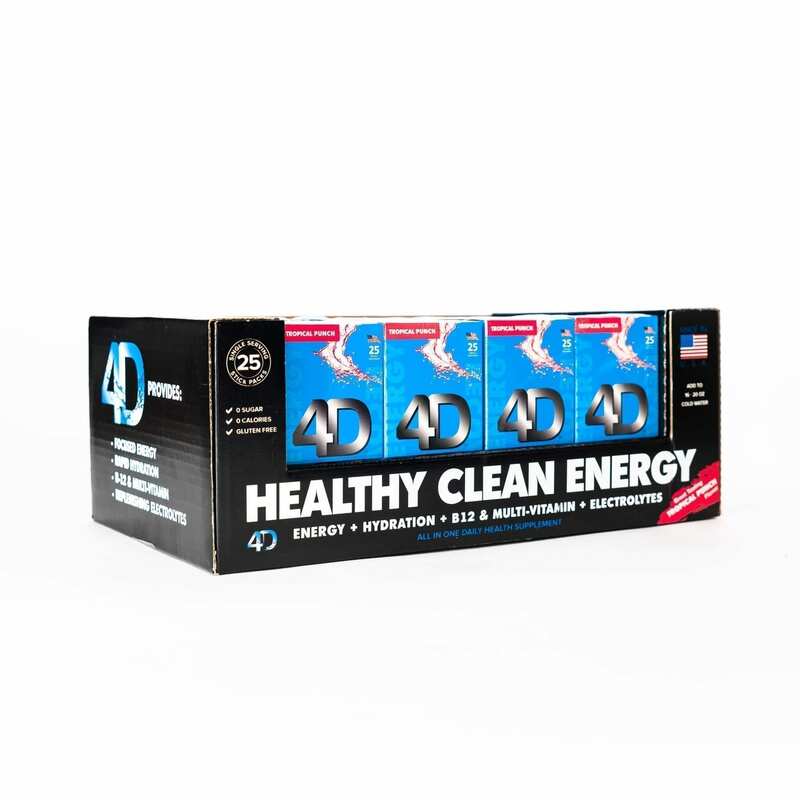 Great Product.. Best on the market, I have been using this product since 2011 and love the product, Excellent for energy and I can not go a day without it. I have since got the whole family living by the product. Really like this… mixes easily, taste great, and works! I’ve been using it before my bike intervals and long weekend rides and it seems to keep the energy level up. I love this stuff! It’s easy to mix up and it tastes great! Absolutely love the 4D supplement! It gives great energy without making me feel jittery or having a crash later!! Just received my order. Response to our order was very prompt. I had tried your product at our local SAMs Club a couple weeks ago and the product I tried was Orange in color and was very good. My order was Dreamsicle and I thought that was what I previously had ( From Sams ). Could y’all check and see what was the product? I would be happier with that product for my order. Love 4D! We tried it at the CCC two years ago and were hooked! My favorite is rhe Tropical Fusion flavor. This is my first time ordering online and I was blown away by how quickly it shipped and was received! I ordered on a Thursday and my package arrived on Friday! You can’t get better service than this…ok, add to this the fact it’s cheaper through the website than through the grocery/supplement stores and that is the clincher for me. Thank you! Love 4D – love when Sam’s had it! It is hard to find…… Can you cancel the auto ship at anytime??? been to Sam’s looking because I was promised a discount if I bought it at the store. they get it at a discounted price? Otherwise why be on autoship? Miss, We do apologize that the Sams Club stores are out of stock. We have had such a spike in sales the past few months that we ran completely out of the Tropical Fusion inventory. That said we have sent more pallets to Sams Club and they should be restocked by this coming Monday, we apologize for the inconvenience and always look to take care of our loyal customers. As far as Autoship, we do give free shipping , $8.95 value and we throw in 5 extra packs per order. That is the best deal you can find online for us. Thank you and Merry Christmas, Team 4D!